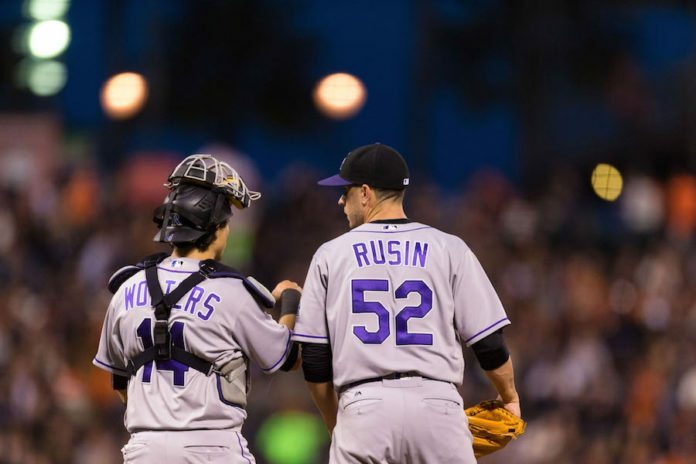 The Colorado Rockies have always had consistent and productive hitting and this year seems to be no different with players like Nolan Arenado, Carlos Gonzalez, Trevor Story, DJ LeMahieu, Mark Reynolds, and Charlie Blackmon all hitting very well. Through the first two months of the season, Colorado has four players in the top 25 for batting average so far this season. There is no questioning the Rockies lineup. It’s deep and you know what to expect of them and know that they will produce nearly every night. Use their 29 runs scored over their past five games as evidence. But we’ve rarely been able to say the same thing about the Rockies pitching. Will this be another season in which pitching is the factor that continues to set them back? 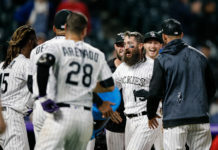 Kyle Reese tackled the topic on Enough Said on Mile High Sports AM 1340 | FM 104.7 Saturday after the bullpen blew up for six runs in the eighth inning in a loss to the Giants. “You feel like they are a team on the cusp of being competitive and than give up six-run innings,” Reese said. On Monday, Colorado surrendered 11 runs in a loss despite plating eight on offense. They allowed a five-run inning in that loss. The losses to Giants and the offensively challenged Reds came not long after consecutive victories against two of the top teams in baseball, San Francisco and the Boston Red Sox, on Thursday and Friday last week – games in which they only gave up two runs in each game. They have since dropped three straight, giving up 28 runs in those three games. Against the Reds, starting pitcher Chad Bettis only lasted 3.2 innings, giving up six runs on eight hits. The bullpen didn’t help either; they allowed five runs on nine hits. As a whole the pitching staff is ranked second to last in the Major League ERA, ahead of only the Reds. Catch Enough Said every Saturday from 5p-7p on Mile High Sports AM 1340 or stream live any time for the best coverage of Colorado sports from Denver’s biggest sports talk lineup.